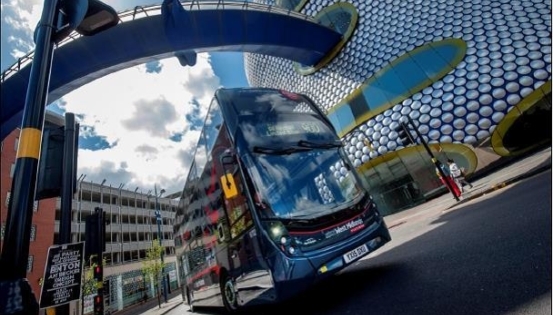 Digital Birmingham is a partner in an Innovate UK funded project called ‘Smart Routing’ which will improve public transport travel by enabling people to combine their journey data and preferences with real-time transport information, delivering your saved route plans, even without connectivity, providing offline routing while in your local area. Smart Routing, is an innovative multimodal App, initially available on iOS (Apple mobile operating system), which will bring together real time travel requirements and public transport information for citizens. We are due to pilot trial the App in Birmingham in July 2017 but as a precursor to this activity, we want approx. 12-15 people who are familiar with and/or use public transport in Birmingham to help inform the development of the App. Running from 10 am - 1 pm (with lunch included) at iCentrum ... if you are interested in supporting the development of an Innovative public transport App contact Nikki.Spencer@birmingham.gov.uk but please note places are very limited and will be offered on a first come, first served basis.